During Memorial Week 2018, more than fifty councils across England marked the 23rd anniversary of the Srebrenica genocide. In doing so they brought people from all backgrounds together to reflect on the lessons from Srebrenica and pledged to challenge hatred and prejudice. 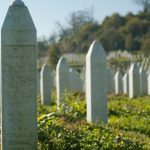 In April, The Minister for Faith, Lord Bourne wrote to every local authority in England urging them to take action during Srebrenica Memorial Week. “Commemorating Srebrenica is a powerful way of bringing different communities together in your area against hatred, intolerance and extremism. I very much hope I can count on your support. Now, more than ever, it is vital that communities united together free from hatred and division”. 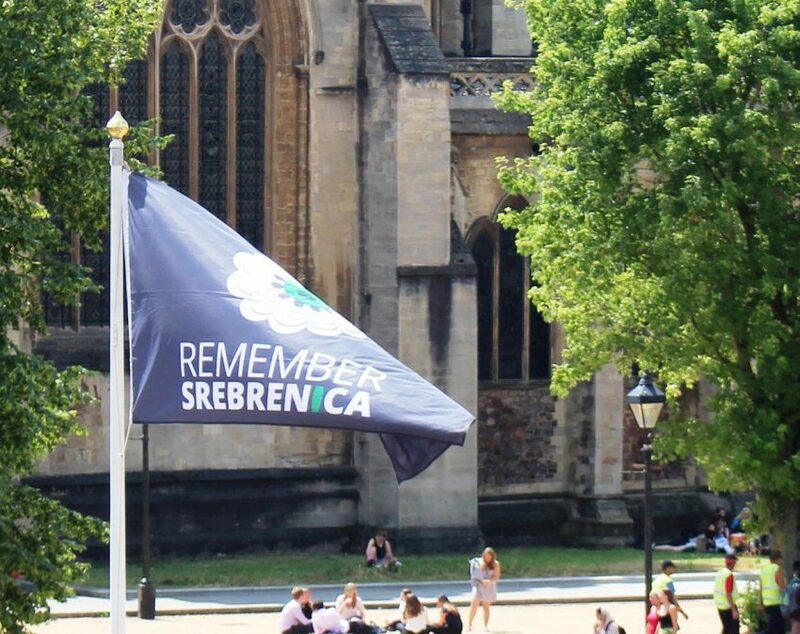 Local authorities organised many different events from holding minute silences during Council Meetings, raising Srebrenica flags to holding Srebrenica memorial services. “I am delighted that so many local authorities were able to commemorate the 23rd anniversary of the Srebrenica genocide. We are all invited to draw strength and inspiration from those who, during the genocide and ethnic cleansing in Europe’s worst atrocity since the second world war, were bold enough to resist an ideology of division, protect their neighbours and speak out for truth and justice. The baton of courage has now been passed on. It is up to us to learn the lessons from Srebrenica”.